Jumping castle 539(4m*3.5m 3.5m) tall best castle for little princess party big bouncy area and an obstacle to play with great fun. Age up to 10 years, maximum 8 kids at a time good for girls. Themes setting Princess, and girl thing parties. Not only do we have “Traditional Jumping Castles”, we also offer a series of combos that include obstacle courses, slides and climbing areas. Snow White is the 1st and original Disney Princess. A main character in Walt Disney Animation Studios’ 1st animated feature film Snow White and the Seven Dwarfs (1937), Snow White is a beautiful young princess born with skin as white as snow, hair as black as ebony, and lips red as a rose. She is forced to seek refuge in the home of the seven dwarfs, where she hides from her evil stepmother, the Evil Queen Grimhilde, who is jealous of Snow White’s beauty and seeks her death. Snow White is often described as a kind, optimistic, tidy and happy person who sees the good in everyone. Originally voiced by Adriana Caselotti and animated by Marc Davis and Les Clark, she is based on the heroine of the German fairy tale Snow White (1812) by the Brothers Grimm. She has also been voiced by Mary Kay Bergman, Carolyn Gardener, and most recently Katherine Von Till. Cinderella Princess Jumping Castle is the 2nd Disney Princess and the title character in Disney’s 12th animated feature film Cinderella, released in 1950. She is often considered the “Leader of the Disney Princesses”. Forced into servitude by her evil stepmother, Lady Tremaine, and her two cruel stepsisters, Drizella and Anastasia, Cinderella dreams of going to the ball. When all seems lost, her fairy godmother allows her to attend, where she meets and falls in love with the Prince. Cinderella is based on the heroine of the French fairy taleCinderella by Charles Perrault. Originally voiced by Ilene Woods and animated Marc Davis, in recent animated features she is currently voiced by Jennifer Hale. In the original movie, Cinderella’s hair was intended to be more of a strawberry-blonde color, but today she is depicted as having blonde hair. Also, her iconic ball gown is depicted as light blue instead of silver in nearly all media and merchandise. Aurora Princess Jumping Castle, originally voiced by Mary Costa and animated by Marc Davis, is the 3rd Disney Princess. She first appeared in Disney’s 16th animated feature film Sleeping Beauty(1959). The motion picture is adapted from the French fairy tale The Sleeping Beauty by Charles Perrault (1697), from the German fairy tale Little Briar Rose (1812) by The Brothers Grimm and from The Sleeping Beauty ballet by Pyotr Ilyich Tchaikovsky (1890). Aurora has hair of sunshine gold and lips that shame the red rose; she is often described as beautiful, kind, shy and sophisticated. She is also a hopeless romantic. At first, she is seen as a little naive and insecure as a result of being sheltered for most of her life but, unlike Snow White, she is somewhat pluckier and more opinionated. In later media, she is shown to have matured and become more self-assured, independent and confident. She was later voiced by Erin Torpey, and Jennifer Hale and is currently voiced by Kate Higgins. Ariel Princess Jumping Castle is the 4th Disney Princess, as well as the title character in Disney’s 28th animated feature film The Little Mermaid, released in 1989. Daughter of King Triton and the youngest of seven sisters, Ariel is a princess in the undersea kingdom Atlantica (according to later media in the franchise). Fascinated by the human world and tired of life under the sea, Ariel makes a deal with Ursula the sea witch, trading her voice in return for humanity. Based on the Danish fairy tale The Little Mermaid by Hans Christian Andersen, Ariel is voiced by Jodi Benson and animated by Glen Keane and Mark Henn. The character was inspired by the protagonist in Andersen’s story, but was developed into a different personality for the film. Ariel is fiercely independent and a dreamer, which is notable in her collecting of human world treasures in her private grotto. She is bold and a risk-taker. Ariel is distinguished by her bright red hair, purple/lavender seashell bra and green tail. Belle is the 5th Disney Princess, first introduced in Disney’s 30th animated feature film Beauty and the Beast (1991). Based on the heroine of the French fairy tale by Jeanne-Marie Le Prince de Beaumont, Belle was created by screenwriter Linda Woolverton and originally animated by James Baxter and Mark Henn. Originally voiced by Paige O’Hara, Belle is currently voiced by Julie Nathanson. Frustrated with her provincial village life, book-loving Belle longs for adventure. When her father Maurice is imprisoned by a hideous beast, Belle sacrifices her own freedom in return for his. At first frightened by the Beast’s physical appearance and repulsed by his selfishness, Belle learns to appreciate him after he rescues her from a pack of hungry wolves, expressing her gratitude by tending to his wounds. While the Beast’s love for Belle gradually results in him adapting a more friendly and civil manner, Belle befriends him, eventually managing to fall in love with him by the time the last petal falls off an enchanted rose, which ultimately breaks a spell cast on him and transforms him back into a handsome prince. Personality-wise, Belle has been regarded as an independent, intelligent, courageous and headstrong, as well as a feminist. The character has been universally lauded by critics, garnering specific praise and recognition for her intelligence and bravery. The Los Angeles Times hailed Belle as one of the Disney Princesses responsible for “break[ing] the bonds of convention”. The Globe and Mail praised the character, complimenting her intellect and labeling her the “main attraction of Beauty and the Beast“.Entertainment Weekly highlighted the character’s independence, calling her “the hero” of the film and accrediting her with making Beauty and the Beast the best Disney Princess film. The Washington Post described Belle as “more mature, more womanly and less blandly asexual” than previous Disney heroines. The American Film Institutenominated Belle for its list of 100 Years…100 Heroes and Villains. Belle remains the best-received Disney Princess to-date. Jasmine is the 6th Disney Princess and the leading lady of Disney’s 31st animated feature film Aladdin (1992). Jasmine is fierce, bold, and confident, and she rarely allows anyone tell her what to do and what not to do. Jasmine hungers for independence, tired of the restrictions laid before her by her father. She falls in love with Aladdin while he is disguised as a prince, after he takes her on a romantic ride on a magic carpet. Aladdin’s genie companion is summoned by Jafar, who uses the genie’s magic to tyrannically overthrow Jasmine’s father, the Sultan. Luckily, after Jafar’s defeat, the Sultan permits Jasmine to wed Aladdin despite his lack of royal heritage. Princess Jasmine is voiced byLinda Larkin and animated by Mark Henn, and her singing voice is provided by Lea Salonga (in the feature film) and Liz Callaway (in the direct-to-video sequel). Jasmine is based on Princess Badroulbadour from the One Thousand and One Nights tale of “Aladdin and the Wonderful Lamp”. Pocahontas is the 7th Disney Princess and first appeared in Disney’s 33rd animated feature film Pocahontas (1995). Based on the Native American chief’s daughter,Pocahontas (c. 1595–1617), and the settlement of Jamestown, Virginia in 1607. Pocahontas is displayed as a noble, independent and highly spiritual young woman. She expresses wisdom beyond her years and offers kindness and guidance to those around her. An adventure and nature lover, in the film she appears to have shamanic powers since she was able to commune with nature, talk to spirits, empathize with animals and understand unknown languages. In the sequel, Pocahontas seems to have grown after hearing of John Smith’s assumed death. She keeps her independent spirit and playfulness, but is much more mature and self-assured than she was in the first film. During her stay in England, she nearly loses herself in the hustle and bustle of the new world and is almost turned into someone she’s not. But in the end she bravely intends to sacrifice herself for her people’s safety and returns to her homeland, finding herself, and love, once again. She was voiced by Irene Bedard and animated by Glen Keane while her singing was provided by Judy Kuhn. Fa Mulan is the 8th Disney Princess and first appeared in Disney’s 36th animated feature film Mulan (1998). The movie is adapted from the legend of Hua Mulan (386–536). Mulan, atypical and unlike most previous female roles, is courageous and more self-reliant. She also does not fit in with the expectations of a young Chinese girl of the time; despite her natural beauty, she is clumsy, outspoken, and independent rather than graceful, silent and demure. Her meeting with the matchmaker ended in chaos because of this, (with help from a certain cricket), and the matchmaker claimed that even though she had the looks of a bride, she would never find a match. However, her courage, intelligence, and determination helped her through her adventures, in which she disguises herself as a male soldier in order to fight in the Chinese army in place of her wounded father. She was voiced by Ming-Na and animated by Mark Henn while her singing was provided by Lea Salonga. Tiana, voiced by Anika Noni Rose and animated by Mark Henn, is the 9th Disney Princess character to be incorporated into the franchise, appearing in Disney’s 49th animated feature film The Princess and the Frog (2009). Her film is loosely based on the novel The Frog Princess by E. D. Baker, which is in turn based on the Brothers Grimm fairy taleThe Frog Prince. Tiana is portrayed as being a hardworking, ambitious, and beautiful young woman who has no love interest (at the start of the film). Living in New Orleans, Louisiana, Tiana strives to achieve her goal of opening her own restaurant (an ambition inspired by the accomplishments of real life restaurateur Leah Chase). However, she is transformed into a frog after trying to break a spell cast by a Bokor on Prince Naveen that had changed him into a frog also. Throughout the film, the pair must embark on a quest to find a way to break the spell. Tiana was officially “coronated” and became a member of the Disney Princess line-up on March 14, 2010 at The New York Palace Hotel inManhattan, New York. Rapunzel is the 10th Disney Princess. First appearing in Disney’s 50th animated feature film Tangled (2010), Rapunzel is based on the heroine of the German fairy tale by theBrothers Grimm. Created by screenwriter Dan Fogelman, Rapunzel was originally animated by Glen Keane, and is voiced by recording artist and actress Mandy Moore. 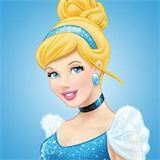 The character was “coronated” and officially inducted into the Disney Princess franchise on October 2, 2011 at Kensington Palace in London, England. A princess born with long, magical golden hair, Rapunzel, stolen from her parents at infancy, is raised by Mother Gothel, a vain woman who is also an evil witch and exploits her hair to remain young and beautiful. Incarcerated in an isolated tower for eighteen years, Rapunzel enlists the help of a wanted thief named Flynn Rider to see the floating lanterns in time for her 18th birthday. Rapunzel is notably the first Disney Princess to appear in a CGI film, but is frequently revamped to a traditionally animated design when appearing in merchandising alongside fellow, classically-animated Princesses. The character has been generally well received by most critics. Particular praise was awarded to her spirited personality and contemporaneity. The Los Angeles Times described Rapunzel as “a very modern young woman”. The New Yorker called Rapunzel a witty and intelligent character, while USA Today wrote, “Rapunzel is more believable in her teenage histrionics” than previous Disney heroines. However, some reviews, such as the two provided by Time Out, were less favorable in their opinions of the character, describing her as both a “bland” and “synthetic” character. Merida is the 11th Disney princess, first appearing in the Pixar film Brave (2012). Voiced by Kelly Macdonald, the character’s singing voice is provided by Julie Fowlis. She was created by director and screenwriter Brenda Chapman. Merida is the 16-year old daughter of Queen Elinor, who rules the kingdom alongside King Fergus. Queen Elinor’s expectations of her daughter make Merida see her mother as being distant while also causing friction between the two. Despite Elinor’s desire to see Merida as a proper royal lady, Merida is an impetuous girl who wants to take control of her own destiny. She has honed her skill in archery, and is one of the most skilled archers ever seen. She is also skilled in sword-fighting and cross-country horse riding on her horse, Angus. Merida was “coronated” and officially became a part of the Disney Princess franchise on May 11, 2013 at Walt Disney World’s Magic Kingdom. She is the first Disney princess in the line-up to not have a love interest in her film. She is also the first Pixar and the second CGI princess.